This post is the third of a four-part series on three different ways to engage with group members. You can also read part one and part two of this series. Some of us may have had a science teacher along the way that gave us the freedom to experiment. Phrases heard in that class might have included: Let’s see what happens if we do this! I wonder if this will work? and They call it trial and error for a reason. The teacher was just as anxious as we were to see what happened when Mentos were dropped into a bottle of carbonated drink. That same teacher purchased different brands of carbonated drinks for the next science class just to find out if one produced more foam than the others. In this approach, the Experimenter discovers right along with the group. They may have a general framework to follow, but always with an open end. It is about the experience and the discovery. The Experimenter guides the group through a discovery process, while the group creates the final product. The group members prepare before the group time, with the expectation of contributing to the experience by sharing their discoveries, testing their conclusions, and asking their questions. The group is provided content prior to the meeting to examine and process prior to the group time. That way, the group can start when the first person arrives. The Experimenter must prepare for multiple contingencies, since he or she does not know the exact direction the group time may take. Experimenters may have a general idea based on their own study, but there is always the possibility of a rabbit-chase lurking. This approach could also be described using the terms propose/do. The strength of this approach is that the thoughts and insights of group members are valued. Not all ideas are equal, but at least each can be explored and compared to the larger whole. It also encourages active participation. In fact, the amount of interaction determines the length and quality of the group time. But the level of interaction is also a core weakness. Guests will not be able to jump in without some type of help. Not everyone wants to interact with every subject or, in our case, every Bible verse. The lack of structure, or perceived lack of structure, will frustrate some group members. The structure of a class helps people organize and focus their thoughts. They need the clues and the prompts of the Presenter and Investigator. The group time also lends itself to the chasing of rabbits, some of which are not worth chasing. Group members don’t mind rabbits every once in a while as long as they get to the meat of the matter as well. One of the biggest potential dangers of using this approach exclusively is the teacher losing his or her credibility. The Experimenter is an expert on the process, but the group wants someone who is an expert on the content as well. If the group believes they are just as knowledgable as the leader on a subject, they look elsewhere for answers to the hard questions and when they are in a crisis. When that happens, the Experimenter loses his or her place in the group and is no longer needed. Over the past three posts, we have examined three different approaches to engaging the group. Since each has its own inherent strengths and weaknesses, which one is best? Does it simply come down to a teacher’s preference? How do you know which one to use and when? That is the question we will examine in our next post. This post is the second of a four-part series on three different ways to engage with group members. You can read part one of this series here. You walk into the room and it happens. You are handed a piece of paper with a story printed on the top half and questions on the bottom half. The story speaks in generalities and stops before there is resolution. The person who handed you the sheet of paper asks you to tell him how you would finish the story, if it was being written about you. He listens intently, asking for clarification on some points. He then zeros in on one statement you made, explaining that today’s Bible story will contain a similar statement and encourages you to listen for it during the course of the discussion. You have just entered the world of the Investigator. The pattern is simple: share content, ask a set of questions for response, share more content, ask more questions for response. The questions are not “got it” questions (such as, what did Paul say in this passage?) but tend to be more process and probing questions (for example, do you agree with what was done? How do you see this in our world?) The leader shares and asks, while the group members listen and respond. Another way of describing this approach is ask/respond. This approach does engage the group in interacting with the content in some way, which is a strength.There is also little to no preparation required for the group members, opening the door for guests to more readily participate. Everyone simply responds to the questions asked based on their experiences and the information shared. Good Investigators maintain control by the content they choose to introduce to the group and by the questions they ask. This keeps the group on task and away from unfruitful discussions. Like the presenter approach, little is expected of the group member as far as preparation is concerned. Once again, this is a strength and a weakness. The group is open to new people, but commitment to studying beyond the group is minimized. This approach will take more preparation time by the leader than the other two approaches. Creating good questions takes time and lots of effort. Some would characterize the creating of good questions sets as the most difficult of all tasks undertaken by a teacher. The group members also run the risk of becoming dependent upon the Investigator to ask questions (a basic function required for learning and critical thinking). This approach could be a way to teach others how to develop quality questions, but only if the group and individuals in the group are given the opportunity to lead in an investigation (which rarely happens). Simply watching someone else ask does not mean we will suddenly become an investigator as well. An interrogation-only group also tends to be threatening a new person. They can feel put on the spot in front of the group and forced to share something they didn’t want to share. Trust is a must, which also takes time and usually excludes additional people from being added to the group. Next, we look at the Experimenter. This post is the first of a four-part series on three different ways to engage with group members. Conference leaders and teachers (myself included) can be placed into one of three categories: Presenters, Investigators, and Experimenters. These categories are about how a person engages with the group. Each type has a place in the process of teaching-learning, but using only one or overusing one can become an obstacle to learning. Over the next three posts, we will define each approach, identify some of the strengths and weaknesses, and highlight the danger of relying solely on that approach. We begin with the Presenter. In this engagement approach, the teacher is the expert. At the designated time, everything stops as the Presenter calls the group to order. Their charge is to study and then deliver the studied content in a compelling way. If they are really good, they will do it without a minute to spare. The people in the group are expected to respectfully listen and take note of key thoughts and ideas. One possible way of describing this approach is tell/listen. Building an effective presentation requires at least two essential skills. The first is discerning the main points and expressing them in a logical and simple way. The Presenter pours over resources prior to the group time in an effort to do just that. The Presenter must also craft illustrations that help the group understand the main points, building on their experiences and stating them in terms the group understands. The strength to this approach is that it is the one most modeled. Think about the number of conferences and college classes that function in this way. In some ways, the size of a class dictates the use of this approach. The approach also lends itself to covering large chunks of content in a short time. The risk is low for the group with little required beyond listening. Reading something beforehand would be a bonus, but it is not required. The group may or may not know what the Presenter will say prior to the group meeting, but that is immaterial. With that in mind, this approach may be more guest-friendly than the other two. The risk for the leader is also minimized because there may be little opportunity for the group to play “stump the teacher” as long as all the time is taken. The Presenter will rarely lose control of the group as long as he or she delivers some content. The fear of not being able to deliver content can drive the Presenter to study harder, but that same fear elevates the stress level and therein lies the first weakness. It all depends on the teacher and his or her ability to deliver compelling content. This kind of pressure can take away the joy of teaching and lead to burnout over time. The low expectations on the group has a downside as well. As much as you may encourage a person to prepare, if they know you will give them the basic content that they would have read prior to attending, they will do little to no preparation prior to the study time. Why should they? This approach can also leave the group with questions that go unanswered if no system is in place to get clarification. One danger of solely relying on this approach is the potential for codependency. Codependency is a type of dysfunctional relationship where one person enables another person’s harmful habit. In a presenter-only world, the group tells the Presenter how gifted he or she is and how well they presented. This affirmation feeds the ego of the Presenter, placing him on the wobbly pedestal as the expert. In return, the Presenter gives the group information they could have discovered themselves, fostering laziness and lower commitment. Both feel good about themselves and return to the next meeting ready to do it all over again. In the next post, we look at the Investigator. Teaching preschoolers scared me. I have taught almost every other age group, but I avoided this one for a long time! As my old pappy used to say, there is only one way to overcome a fear and that is to face it head on. So in June 2014, I began helping in a 4-year old Sunday School class. My responsibility was to lead the group time (telling the Bible story) and do whatever I was told the rest of the time. All I knew was to do what the curriculum told me to do, and that is exactly what I did. Along the way, I learned some important lessons. 1. What they can see matters. Nothing gets by a 4-year old and that includes what is on the walls, even if you did not put it there. The first Sunday I was with the group, one child noticed a poster on the wall and had all kinds of questions about the poster. The poster had nothing to do with our study, so I spent all my time dealing with a distraction. 2. Class starts the moment the first child arrives. You can’t tell 4-year olds to sit down and wait for everyone else to arrive. The class starts when the first one arrives and isn’t over until the last one leaves. 3. Names are important. We have nametags that work as security as well. The first names are printed larger so they can be easily read, but the nametag usually gets attached on the child’s back. The children expected me to know their names and to pronounce them correctly. One child corrected me several weeks until I got it right. 4. Flexibility is a must. We have a plan but something always happens. Storms in the area, an overflowing toilet in the room, or an art project that takes longer than expected (or worse, takes less time than expected) all force you to be flexible. It is just part of the experience. 5. What you think is a goofy idea usually is the one that works best. The idea was to make a donkey out of a paper bag and then to color a paper cover to go on the back of the donkey. I thought this was a doomed idea, but I was wrong. The children colored both sides of the cover, making different designs on each side. They explained to their parents what their design symbolized and why their cover would have been perfect for Jesus to sit on as He rode into Jerusalem. 6. It is about the Bible. Even 4-year olds expect us to read the Bible and to talk about it. We may do all kinds of things, but if we don’t reference the Bible or a Bible story, they let us know about it. One child was in the restroom while we were telling the Bible story. After exiting the restroom, he sought me out to get a recap of the Bible story. 7. They want to participate in the process. Early on, one child was having trouble removing stickers from a sheet, so I thought I would step in. I was clearly informed by that struggling child that my help was not needed. The tone used was not sassy or mean. That child simply wanted to participate in the experience, even if it took a while to get the task finished. 8. Routines give a framework. We followed the same pattern every week, and I thought it would be good to shake things up after a few weeks. The group knew our pattern and let us know we were not following it. The pattern was important to them, giving the group a sense of security. Changing it just to change it only confused and frustrated the group. 9. If you let them talk, they will. There have been many times when kids have talked about some serious things while playing in a kitchen or building a block wall. I needed to listen and let them talk. I learned more in those times than they did. I am sure there are others lessons I am learning, I just don’t know it yet. As I reflect on these nine lessons, it strikes me that these same lessons are true when teaching adults. People are people regardless of their ages. So is teaching. The group time starts when the first person arrives. Adults expect me to know their names as well. Adults want to participate in the group time as well. I’m a better teacher of adults as a result of teaching 4-year olds, and both groups are grateful. This is part two of a two-part series on creating questions for discussion groups. You can read part one here. Group leaders have taken a variety of approaches to generating questions sets for Bible study groups. The following two approaches are ways I have found to be helpful in generating, organizing, and refining meaningful question sets. When using either approach, don’t forget to include a question at the beginning of the set that draws the group into the discussion. That question needs to frame and bring focus to the discussion. It gives the group a clue as to what direction the study will go and helps them block out other potential directions. Step 1. Read the Bible passage and make a list of key people, places, and words. Step 2. Use Bible study resources to define and describe the items listed in step 1. Star key discoveries that speak into the overall understanding of the passage or give deeper insight. Step 3. Read the passage again and list the actions taken or directed in the passage. Include actions taken by God in the passage. Step 4. Synthesize your discoveries. Compare the passage being examined to other passages. Identify theological categories addressed by the passage. Step 6. Organize question sets. Look for paths from the action questions back to the items in the Bible text that feed into that question. Create questions sets that move people through the discovery process to the action question(s). Step 1. Read the Bible text and outline the major points or movements. Step 5. Organize the questions into logical sets. For example, before a person can determine if he or she has repented, he or she needs to know from what and how. Step 6. Cull and refine the questions, focusing on the sets that get to the core of the Bible text and that lead to concrete action. You may find other ways of generating questions sets. The issue is not so much how you create a question set, but that you do. 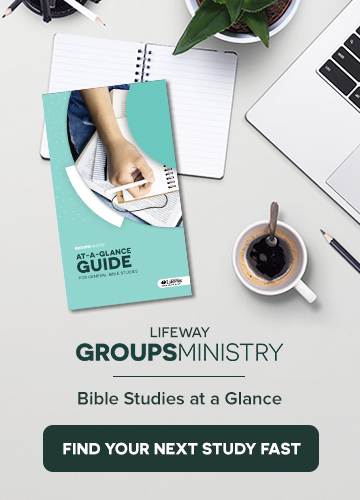 Using questions that move people through the process of framing the study, examining the Bible text, understanding it, then applying it will add depth, intentionality, and critical thinking to the Bible study group. This is part one of a two-part series on creating questions for discussion groups. You can read part two here. Too many times, when I’m leading a small group, I find myself thinking of a great question and forgetting there are questions that must lead up to that question, as well as questions that must follow it. In other words, I fail to think in terms of question sets. Let me explain what I mean by a question set. Questions drive learning. Questions motivate us to search, to dig, to look for connections. If we have no questions, we stop learning. Questions should move us to learn and act on what we learn. There are some questions that can generate some discussion but ultimately end up being time wasted. These tend to propose some type of hypothetical situation that is related to the content being studied but fail to move people to discover a critical truth or act upon the truth. One example is: What other animals could Satan have used other than the serpent to tempt Eve? We could fill an hour with discussion on this question, but doing so would only reveal our fear or bias toward an animal (or a rival school’s mascot). Question sets are organized into a logical progression that moves a group or an individual to act on a truth discovered. The first question invites the group into the learning process (for example: Why should I study this?) or defines a focus for the group (What is the issue we will examine?). The next group of questions direct the group’s discovery (What does it say?) and helps them process the content (What does it mean?). The final questions challenge the group to practice what they are learning (What do I do?). What makes Christmas special to you? What role does Jesus play in your Christmas celebration? How does our celebration of Jesus’ birth compare to what we find in Luke 2:8-20? What was the message delivered by the angels? What makes Jesus’ birth good news to the angels? to the shepherds? to us? How is the message of good news delivered today? How did you first hear that message? How do we deliver God’s good news today? How do you deliver God’s good news, and to whom do you need to deliver it? The order of these questions is important. Suppose we were to move from what role Jesus plays in our Christmas celebrations to how do we deliver God’s good news today. We would have not led the group to consider the significance of Jesus’ birth or how the message of the angels relates to the message we deliver today. In part two of this series, we’ll talk about how to create question sets. In my 20 plus years of leading Bible study groups, here are six tips for leading a discussion that I have learned the hard way. 1. Be careful how you ask why. Think about the times you have been asked why, and you will discover that most of the time you became defensive. There is just something about the way why gets said that puts us into that mode. We can ask why in a different way to remove the defensive mechanism. Some examples are: What factors contributed to your decision? What were the possible causes of that? Explain how that speaks to this situation. An Experiment: Ask a friend if they would consider themselves to be more of a Mary or a Martha (Luke 10:38-42). After they respond, simply ask them the one-word question: why. Listen to their response. Then ask them a second time if they would consider themselves to be more of a Mary or a Martha. After they respond, this time ask them to identify the factors in their life that point to them being either a Mary or a Martha. Compare the responses. Chances are, the second response will different from the first and less defensive. 2. Sit when you call for discussion. 3. Be aware of married couples in the group. Leading a Bible study group that includes married couples creates a different dynamic. If the husband speaks up, the wife will not counter his statement because she doesn’t want to embarrass her husband in front of the rest of the group. If the wife speaks up, he will not challenge her because he just knows better. They may talk about it on the way home, but that doesn’t help the group discussion. Depending upon the question, there are times when it may be best to pair couples for discussion so that the rest of the group is not privy to their conversation, or to place men in one discussion group and ladies in another to encourage more fruitful conversation. In some groups, how the seating is arranged limits discussion. Discussion requires some face-to-face contact. Face-to-face also helps build trust. If possible, arrange the seats so the group can see each other. If the group is large, arrange the seating in smaller circles where each circle can discuss and dialogue face-to-face. Most of us will not reveal our true responses to a large group. We just will not take that risk. Creating groups of 5 can make a world of difference. There is nothing wrong with smaller groups being created out of a larger group so that real sharing can take place. Not every group has to report back to the larger group. In fact, there may be times when the discussion that took place in the smaller groups should stay in those groups. 6. Get personal without being personal. We may be tempted to ask for a public response to a private event or question, but that is a sure-fire way of stifling discussion. Instead of asking “What keeps you from sharing Jesus with your neighbor?”, you could ask a more general questions, such as “What keeps people from sharing Jesus with their neighbor?” People will most likely share their reasons if such a question was asked in a non-threatening way.